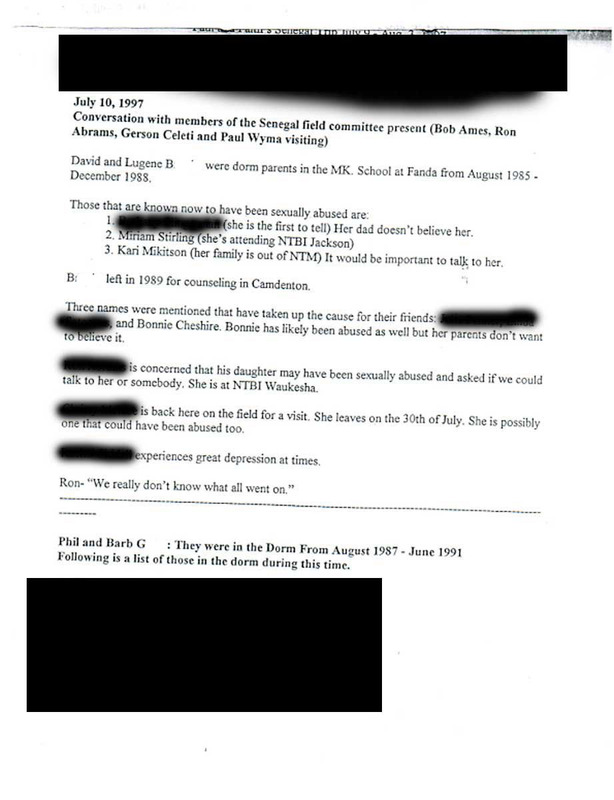 This documentation of one Fanda MKs story outlines how NTM knew and did not act. 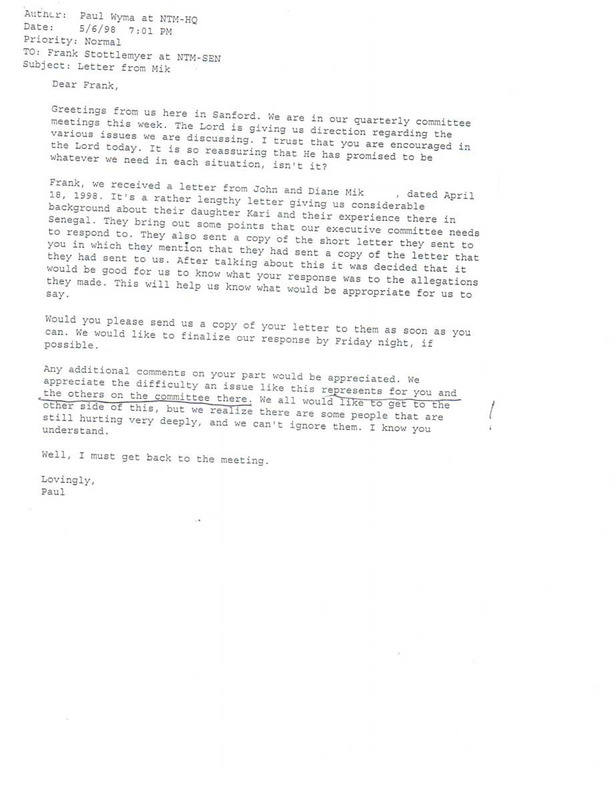 Most of the paperwork listed are letters from Field Committee members or internal NTM memos. 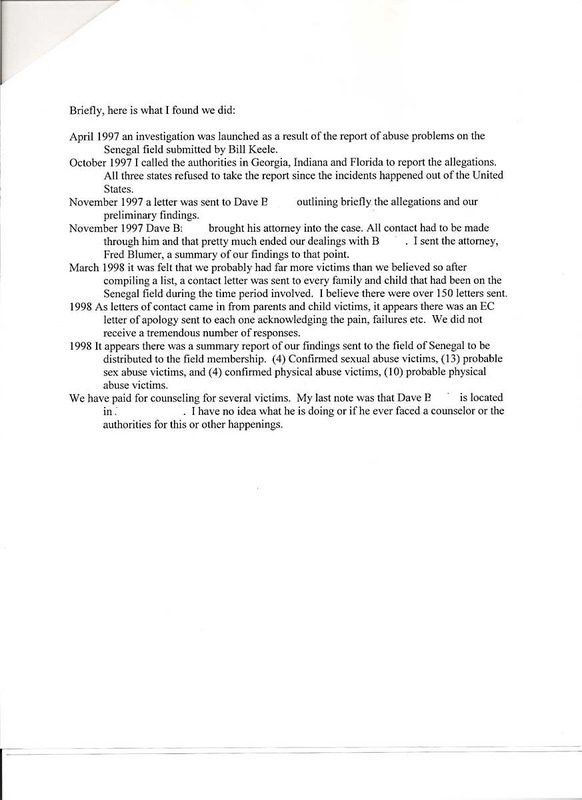 September 1997 – NTM Abuse investigation officially begins. I don’t know if this is enough. Would someone please post the link to the recent article here and on the Media Page? Could you please provide a link to what the NTM spokesperson said? I can’t find it on any of the articles I read. Thank you for organizing all this material and bringing it up to date. 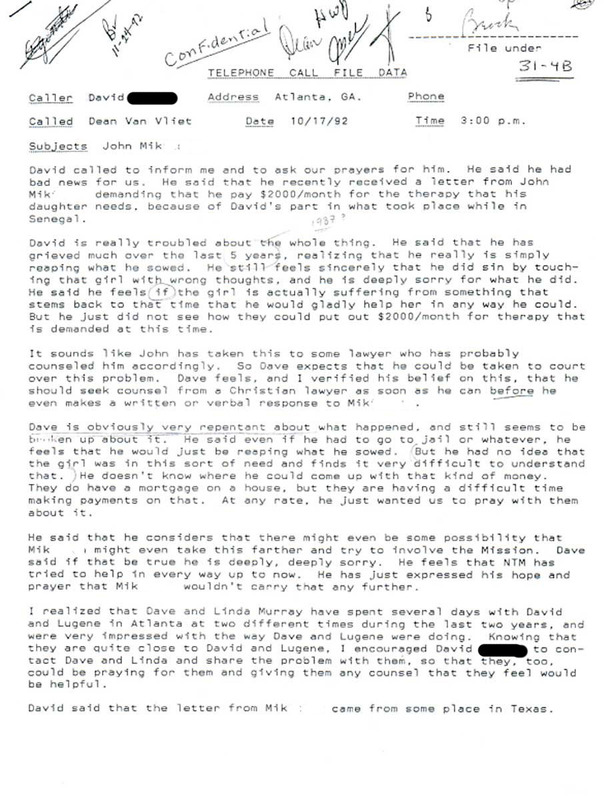 Including some correspondence that happened as this blog was launched. It is a very sad commentary on how NTM handled and still handles situations. In 4 years, we have not seen evidence of anything “new” on their part. The cover-up goes deeper. For instance, today as the news of the arrest of Scott Kennell came out, the NTM spokesperson states that his life does NOT have to measure up to his message. His personal life can be looked at separately from his “work’ for NTM. Unbelievable! I am controlling my response, as I am VERY disgusted and VERY angry!